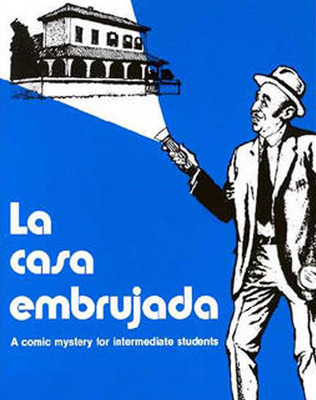 La casa embrujada (Arturo de Rosa) is one of three readers in the Señor Pepino Series. This high-interest reader presents cultural information and extends students' vocabulary in a highly entertaining way. Señor Pepino (a would-be Sherlock Holmes) and his sidekick blunder their way through mystery, adventure, comedy, and romance.